Cut down on strata cleaning and maintenance costs in Sydney with Charles Property Services! Do you want to know if the suburb you are based is part of Charles Property Services area of operations? And specifically so because you want good, local strata cleaners in Sydney to take care of the strata cleaning in Sydney and related cleaning services. The suburbs include, Ashfield, Bondi, Burwood, Campsie, Chatswood, Coogee, Crow’s Nest, Darlinghurst, Double Bay, Hurstville, Lane Cove, Mosman, Rose Bay, Roseville, Ryde, Strathfield, Surry Hills, and Woollahra. With ongoing strata cleaning services in Sydney, the Sydney CBD area or in North Sydney or in any of the nearby suburbs, the strata cleaning for industrial, domestic or commercial buildings is complete and all and any dirt, dust, mould and mildew is effective removed from any strata or surface. The professional cleaners Charles Property Services would reiterate that our cleaning and the resultant clean façade and exteriors will definitely tell many a tale. Whatever be the domain, be it commercial, domestic or even industrial, our strata cleaner ensures that our cleaning service is one of the best. And this is purely based on our expertise and knowhow. And most of all our cleaning solutions will perfectly suit any budget. The industrial or domestic external facades of the building in the North Sydney or Sydney CBD area are cleaned as part of the strata cleaning. 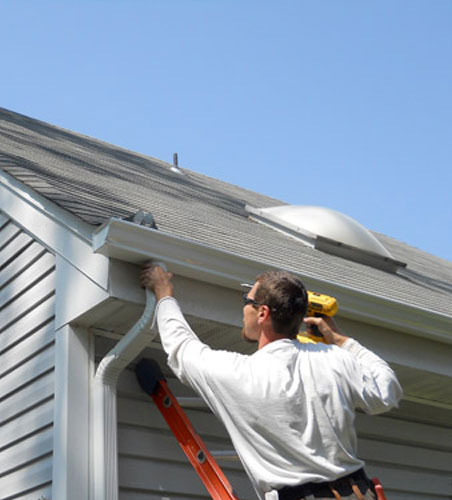 Further to the strata cleaning services, eaves, gutters, walls, outdoor surfaces, fascia, downpipes, and any outdoor area falls under the purview of the strata cleaning service. Any and most materials are cleaned as part of the strata cleaning service in say Sydney or the North Sydney area. How do we clean any strata? Or what comprises our strata cleaning services? Our cleaner employs pressure cleaning and non-intrusive and non-abrasive techniques to carry out the cleaning. And this way, there is no damage whatsoever. And that is an assured guarantee from our end. Only safe, eco-friendly approaches are employed as part of this service. What are the benefits of engaging a local strata cleaning service in the Sydney CBD or North Sydney area like Charles Property Services? If timely and ongoing strata cleaning are undertaken, then everything is in top condition and there is no gradual deterioration or mould build-up occurring on any surface. Frequent intervals of strata cleaning are just something else. Our cleaning solutions are cost-effective and reasonable. And for very little money, the clean look, and the professional service is just worth every cent. The property value is enhanced and it is a lot better. Why choose the local Charles Property Services? Our continued engagement with domestic or residential and commercial clients’ stands testimony to our work. We have in place a proper process and we have on board experienced cleaners who are well-versed in all the cleaning services that we offer. And we are completely insured and licensed. If you reside in any of the suburbs like- Ashfield, Bondi, Burwood, Campsie, Chatswood, Coogee, Crow’s Nest, Darlinghurst, Double Bay, Hurstville, Lane Cove, Mosman, Rose Bay, Roseville, Ryde, Strathfield, Surry Hills, and Woollahra and want Charles Property Services to undertake strata cleaning and more, and want to speak to us or want to know more about strata cleaning, contact us on 0477 644 663 or write to us at admin@charlespropertyservices.com.au.